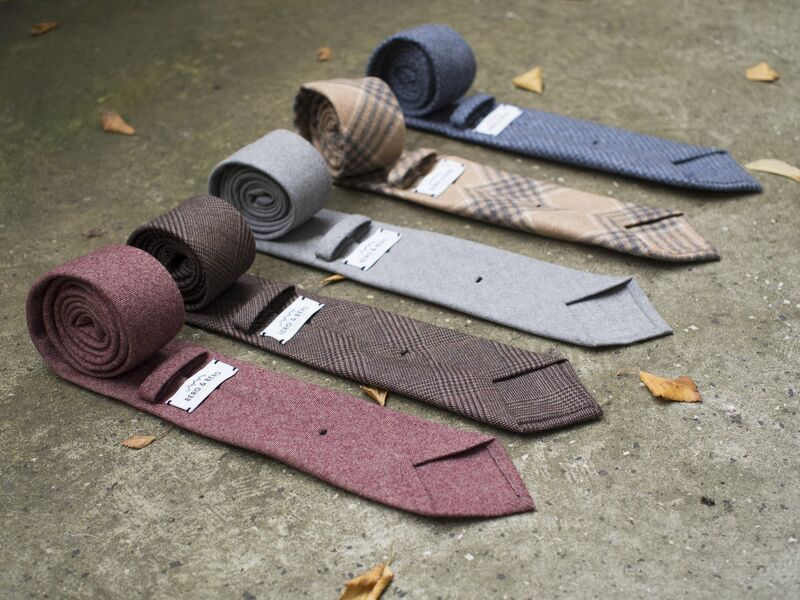 The last part of articles concerning Berg & Berg's Fall Winter 2013-2014 collection looks into the new wool ties. 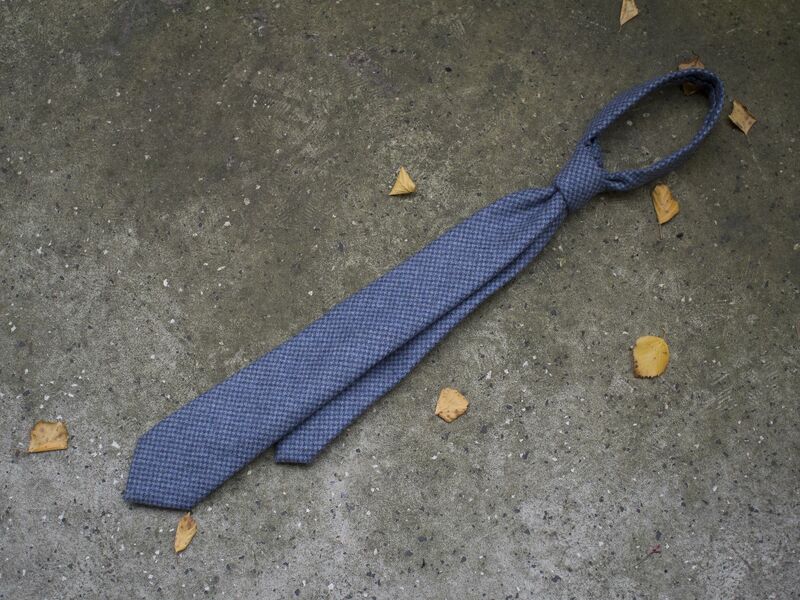 I received the ties some weeks ago, and have now used all of them to be able to give some first impressions. Ties and just ties though, so the high quality pictures should really do most of the talking here. When it comes to regular ties, I found this tie collection to easily be the best one Berg & Berg has launched for the past few winter markets. 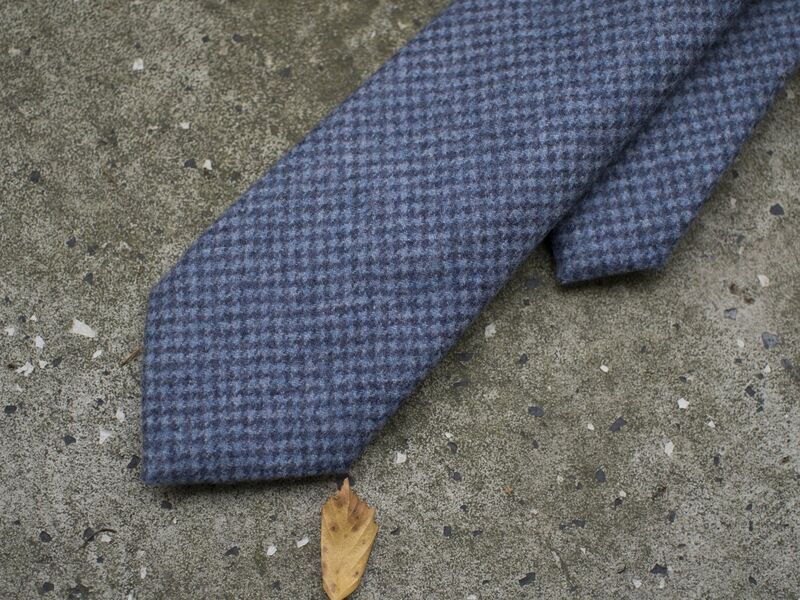 Lots of toned down but very cool colors, and all of the wool ties just had an amazingly soft look to them. Also the patterns offered are quite subtle, in my opinion more than previously. And I like it. 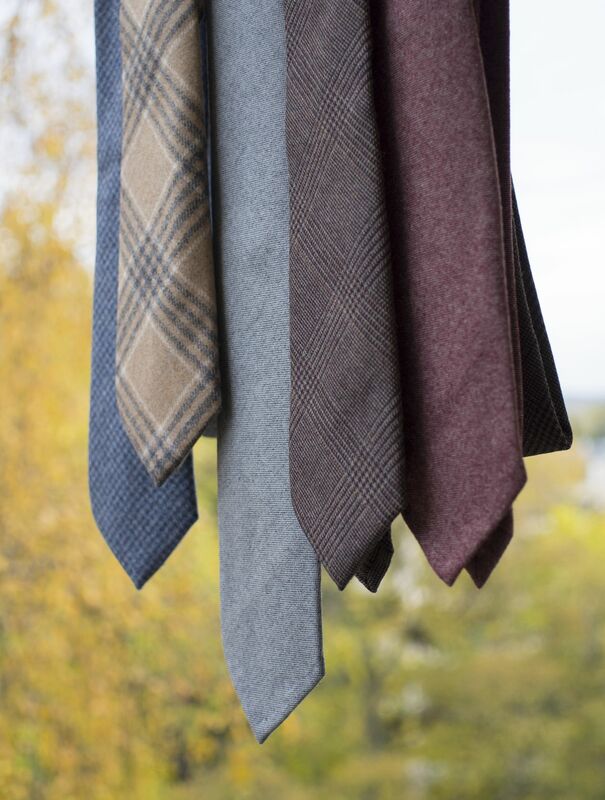 Here's my favorite five pieces I decided to pick out from the wool tie selection. First up, Solid Grey Wool Tie. A true classic in a light grey color, I've been lacking this from my wardrobe before. 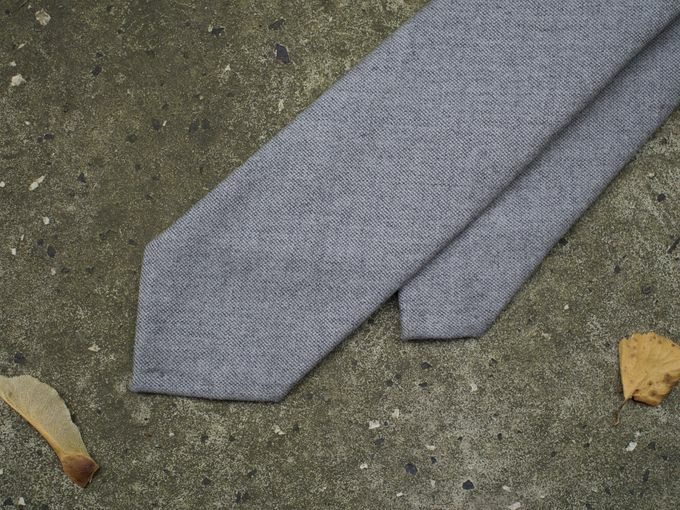 I would rate the construction and feel of the tie about mid heavy for a lined wool tie. 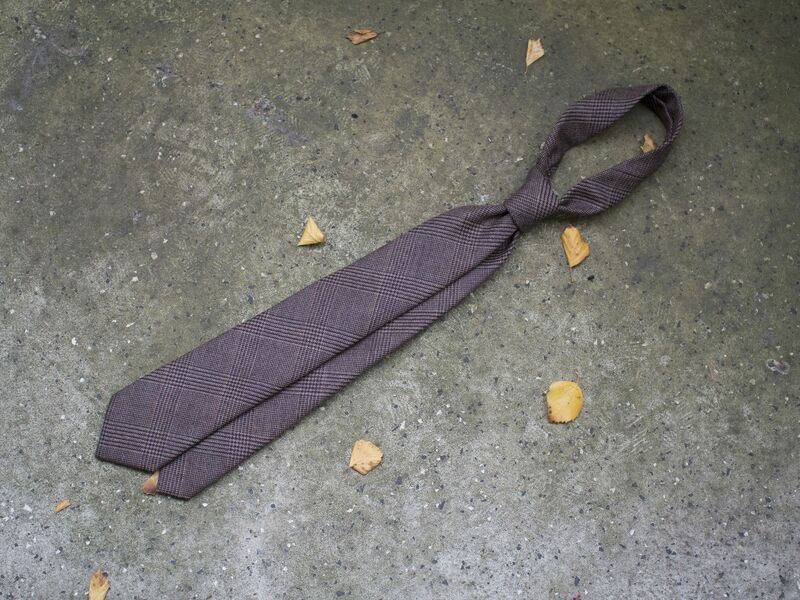 Ties a beautiful knot, feels soft and most of all is one of the most versatile winter ties you can have. 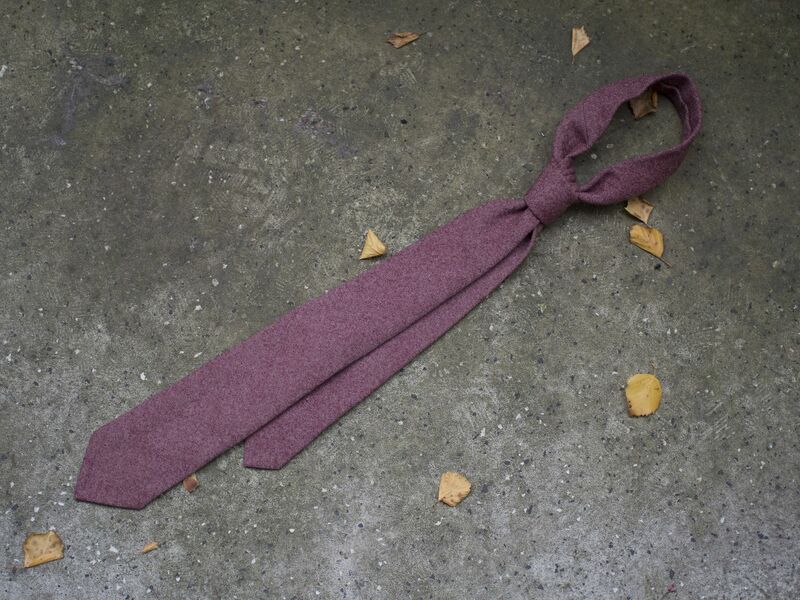 Then, the Brown and Burgundy Prince of Wales Check Wool Tie. The pattern is similar to a grey Prince of Wales check wool tie I have from Berg & Berg's last year's collection, but the feel of the tie is a little bit heavier due it being lined. 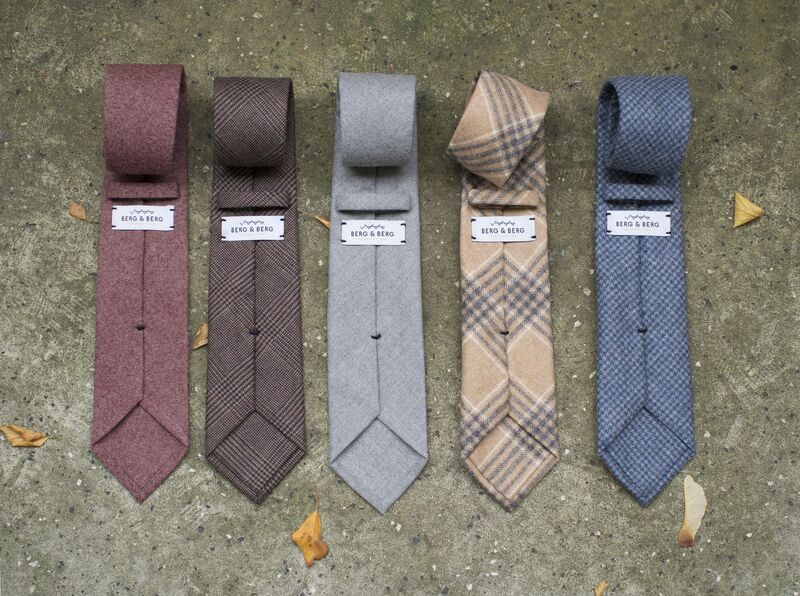 It is still the most lightweight from these five ties, and ties a truly beautiful knot. I would also think it will keep its shape better than an unlined tie, so a great option if you're looking for a patterned wool tie in a seasonal color. Also, my favorite of these five. 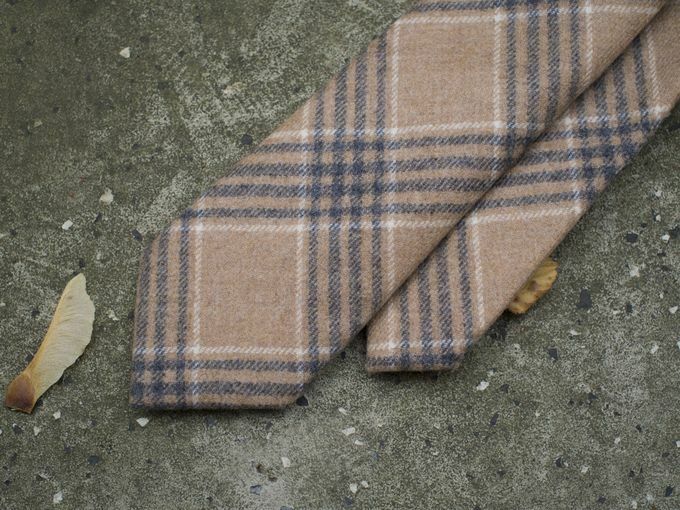 Third, Wheat-colored Plaid Wool Tie. Worn here, it makes a great tie for a semi formal outfit. The wool fabric has an amazingly soft look, but is on the heavier side. The best thing about it is the color - this kind of a warm wheat color looks simply fantastic when you want to add a touch of color (and still look like you're not screaming for attention) and flair to your look. The Blue Houndstooth Wool Tie has a similar feel to the wheat plaid tie when it comes to softness of the fabric (I wouldn't be surprised if the fabric came from the same mill). 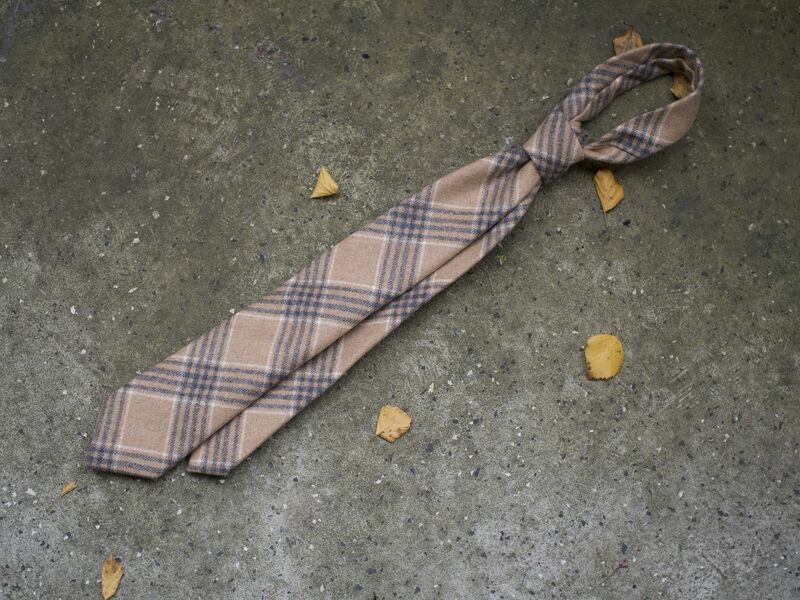 It ties a wonderful knot and the houndstooth pattern looks great. 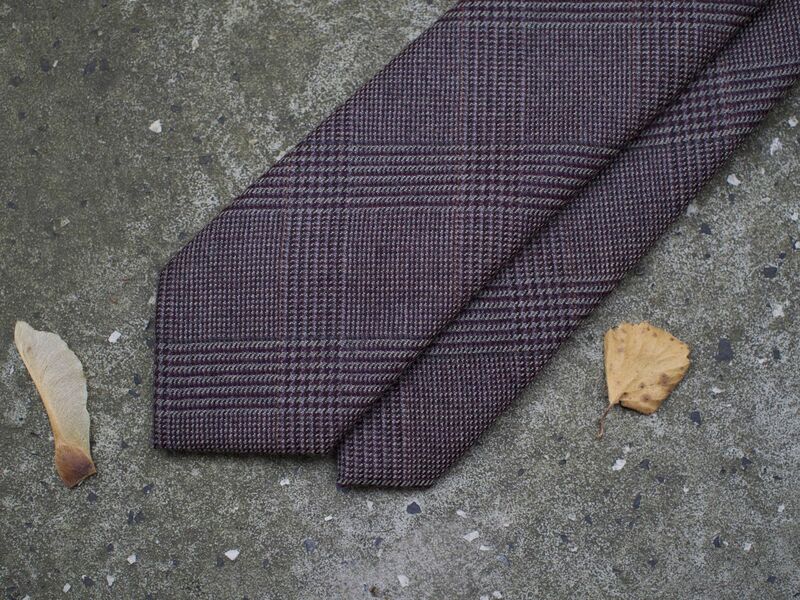 I wish I had a soft-shouldered brown flannel suit for winter, as I could see this tie and that kind of a suit make a true killer combination for those cold winter days! 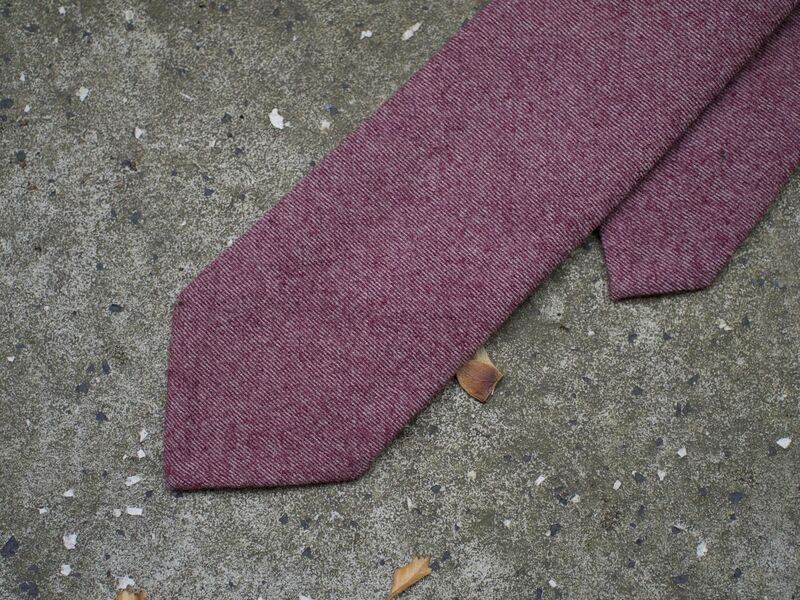 Rosewood Red Solid Wool Tie, worn here. Similar in construction to the solid grey tie, it offers a toned down red color that's a good fit especially if you're wearing navy. The color also seems to have "a lot of noise", something that seems highlighted by the pictures, a feature that gives the tie some extra texture (which is always welcome). A good all-rounder, which unfortunately seems to have sold out already. 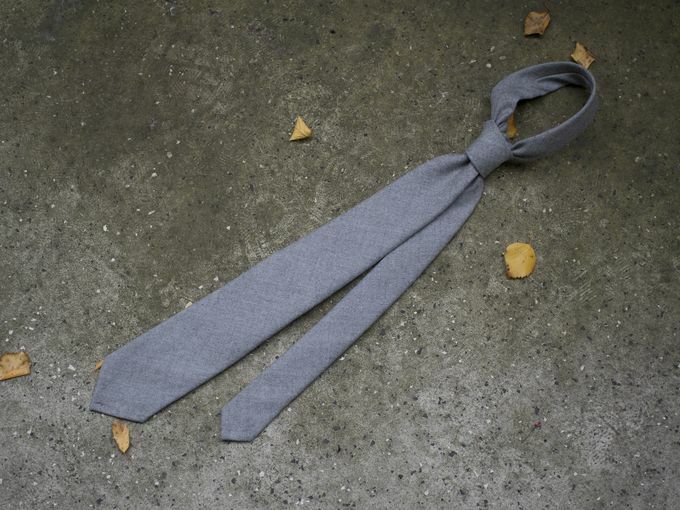 Since I got my batch Berg & Berg has launched quite a few new models, especially bolstering the selection of untipped wool ties. I haven't tried these yet, but might buy one for testing later on. In any case, hopefully you enjoyed the pictures and this gave you some ideas and thoughts on your winter wardrobe. At the end of the day, there's nothing like a neatly-colored wool tie to give your office look some texture and seasonal feel. Hopefully you enjoyed the pictures, this was probably my favorite set taken from items. Tomorrow we'll have an informative article concerning LBM 1911 as well the regular Sunday look.